Submitter: I am a fan of Barbara Cohen, author of such classics as The Carp in the Bathtub and Molly’s Pilgrim, but this is not an appropriate picture book for children! The complex sentence structure! The language! 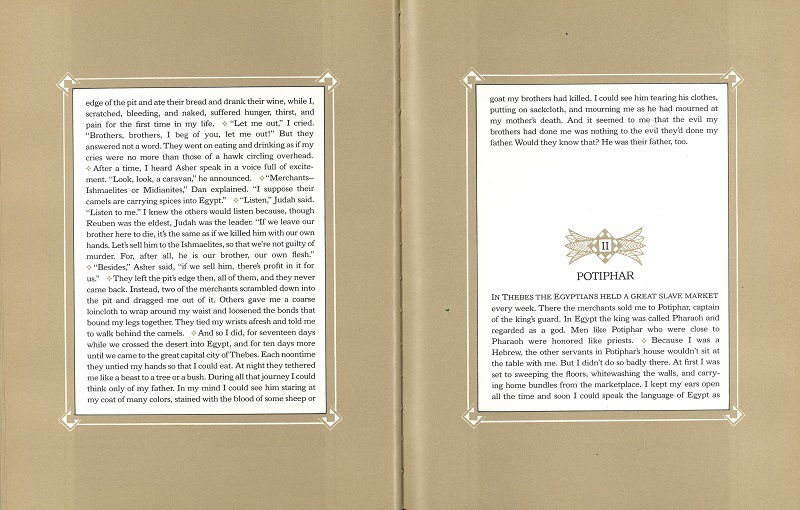 The illustrations! Who thought this was a good idea?! I have nothing against retelling Bible stories as children’s books, but there must be cleaner versions of Joseph’s story! This one reads like a romance novel! Holly: Bible meets 50 Shades? This was found in a nonsectarian private school library, but it is most definitely not elementary school material! It’s obviously NOT a children’s book, just because it is illustrated. I have one very similar that tells the story of Orpheus. I think it’s for weirdos like me, who still like fairy tales and picture books. There’s nothing wrong with that. And most fairy tails and picture books are made by adults, anyway. 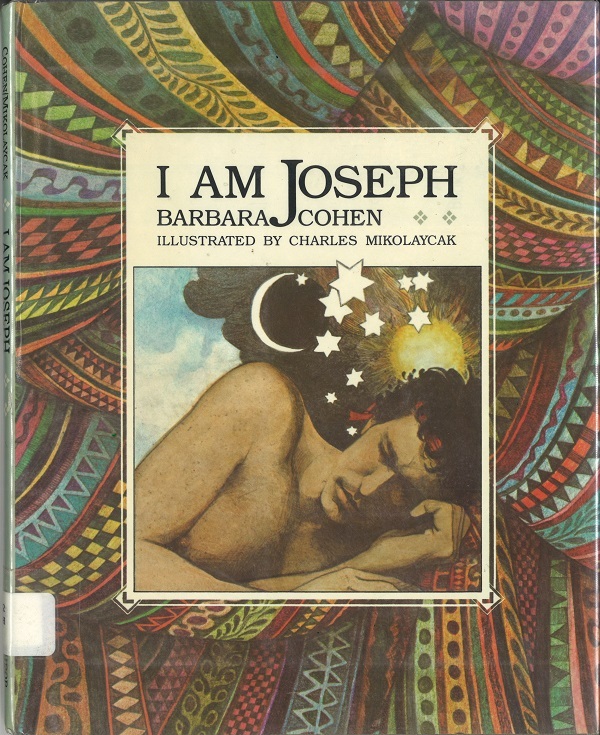 The Library of Congress classifies “I am Joseph” as juvenile literature. So does at least one library in Ontario (not mine) which still holds the item. 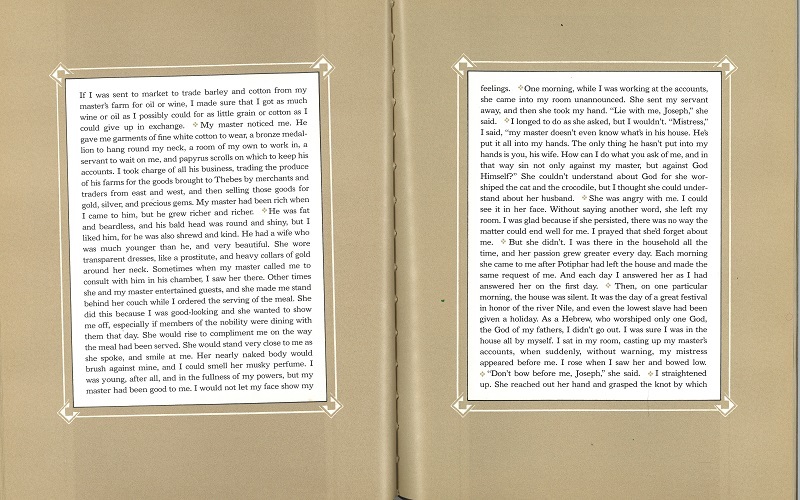 Both the author and the illustrator won multiple awards on other work. When I was in fifth grade, we produced a play version of the story of Joseph that was almost certainly based on this book (I distinctly remember the line, “lie with me, Joseph” got huge laughs from the audience). I never saw the illustrations, so far as I recall. Making it racy held our interest in what would otherwise have been very boring material. Kids can handle a lot more than adults think they can. As a (retired) school librarian, I might have ordered this book — and sent it right back as soon as I looked through it. My word! Who in the world would have thought this was appropriate for children? Apropos of Thursday’s book, Joseph shouldn’t dress so provocatively if he want’s Potiphar’s wife to stop propositioning him. 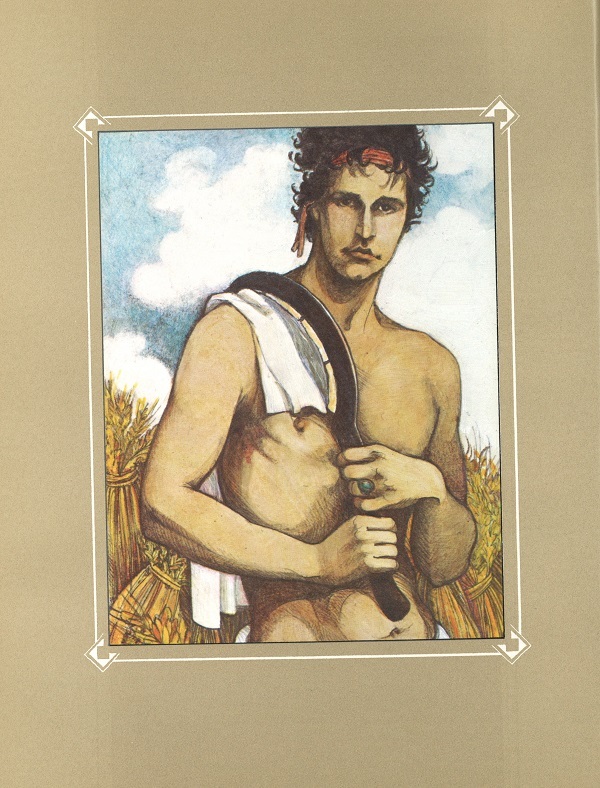 First of all, LOVE that straight-out-of-Playgirl illustration of Joseph. Brilliant! “musky perfume” line. What better education can our children ask for? This is a beautiful book that could merit a place in a design collection but it isn’t for children. You sometimes have to wonder what buyers or vendors are thinking. There was the gift catalogue that said Robert Sabuda’s ‘The Wizard of Oz’ and ‘Alice in Wonderland’ were suitable for ages 3 to 8. Eek! No one with half a brain would leave a child of that age alone with such a thing.